The Walking Dead Season 4 premiere episode is called “30 Days Without an Accident”. They aren’t fooling me! I’m stocking up on extra blood pressure medicine. This show is one of my wife’s and my guilty pleasure TV shows, if you can call watching it “pleasure”. As a parent, it’s especially stressful. Am I the only parent who, while watching AMC’s TV series The Walking Dead during earlier seasons, found myself screaming at the TV, “Get back in the freaking house, Carl!” Yes, I know it’s just a TV show and not real life. I’m not insane; well, not much. But the “parents” of this kid may well drive me nuts. My wife pointed out a preview for the upcoming season showed more children among the cast members. 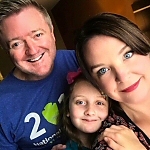 More kids, really? The show is stressful enough to watch without additional zombie bait. Yikes! If you’re a neighbor and you hear someone scream “get back in the jail, Carl”… well, you’ll understand. 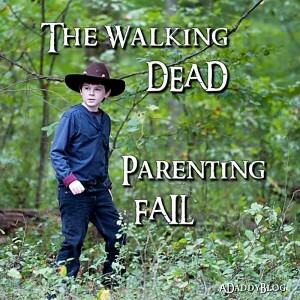 Read more: The Walking Dead: Ultimate Parenting Fail. matter, made mee personally consider it from numerous various angles.